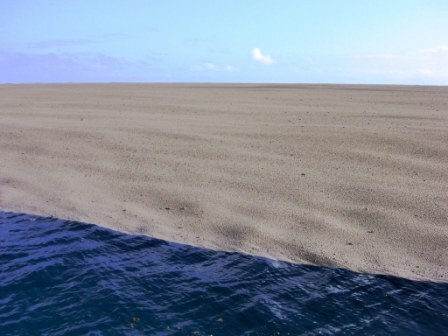 The yacht Maiken witnessed the birth of a new island near Tonga. Some pretty amazing photos, a sea of floating stone & the volcanic island rising up out of the water. Them photos can’t be for real! No islands are being created today. All the land that ever WAS to be, was created in that six days wherein the Lord labored. That was only about 4,000 or 5,000 years ago. All right thinkin’ God fearin’ folks know that to be true. All that other college learnin’ stuff about biology, geology, history and evolution is just part of the works of the devil. Fossils were planted by him just to fool all you nonbelievers. Just read the only book that counts – the Bible. It is ALL in there, if you believe. I also believe in Santa, The Easter Bunny, and the Tooth Fairy. Don’t you?